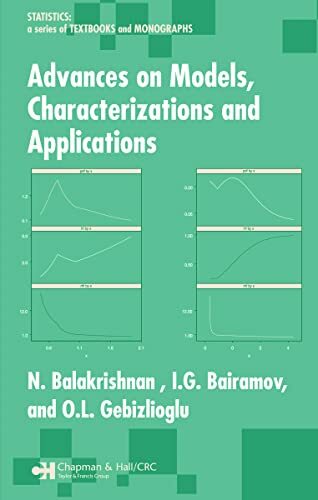 [PDF] Advances on Models, Characterizations and Applications (Statistics: A Series of Textbooks and Monographs) | Free eBooks Download - EBOOKEE! Description: Statistical distributions are one of the most important applied mathematical tools across a wide spectrum of disciplines, including engineering, biological sciences, and health and social sciences. Since they are used to model observed data and ultimately to develop inferential procedures, understanding the properties of statistical distributions is critical to developing optimal inferential methods and validating the resulting model assumptions. Advances on Models, Characterizations and Applications offers up-to-date information on many recent developments in the field. No comments for "[PDF] Advances on Models, Characterizations and Applications (Statistics: A Series of Textbooks and Monographs)".